Born in Serbia, Dušan Kostić studied at the Ćuprija School for Musical Talents (2008–14) and now studies at Novi Sad Academy of Music. He has taken master classes and studied with renowned principal bass players, won awards and prizes in major competitions, and performed in well-known orchestras with prominent conductors. 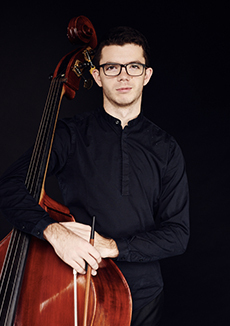 He became solo bassist of the LGT Young Soloists Orchestra (named originally for the Liechtenstein Global Trust) in 2016, a member of the Gstaad Menuhin Festival orchestra in 2017, and guest principal bassist of the Baltic Sea Philharmonic Orchestra and the World Orchestra.